Stay tuned for upcoming events for Mughl e Azam in near future. Mughl e Azam finds himself at the famous Azam Square amidst heavy traffic and pollution. To make matters worse, the centuries old love couple of Saleem and Anarkali shine up their presence with modern jingles and modern love epics. While Birbal, loses his mind under tough situations, Saleem and Anarkali keep the game alive by using all sorts of modern equipment. Akbar-e-Azam on the other hand, is stunned by a crowded Mughal Empire with its outset commercial capital as Karachi and is haunted by modern machines in buses, rickshaws and rush hours. Confronted with the biggest pains of his life finally Akbar and Birbal find refuge and fight their way out of modernism. Faisal Malik, Artistic Director of Thespianz Theater and Chirmen of Thespianz Foundation graduate of National academy of Performing Arts NAPA in Karachi Pakistan after that he got chosen for International fellowship mentoring Program from John. F Kennedy Center for the Performing Arts Washington DC, and afterwards from Germany, India and European countries. He worked with numerous American and European Performing Arts Organizations. He gave directions of 156 Social and entertainment based Theater Productions, 134 Dance Performances in many cities of Pakistan and abroad as well as he established 107 Motivational workshops for youth in different government and private sectors. Faraz Zubair Sultan is a famous comedy playwright of Thespianz Theatre. He wrote numerous theatre plays based on eastern comedy and satire. Faraz's script closet has included "Marriage Carriage", "Uff ye Biwian", "Jane Wale Phir Nahin Aate", Antakshari and "Mughl-e-Azam @ Al-azam Square". 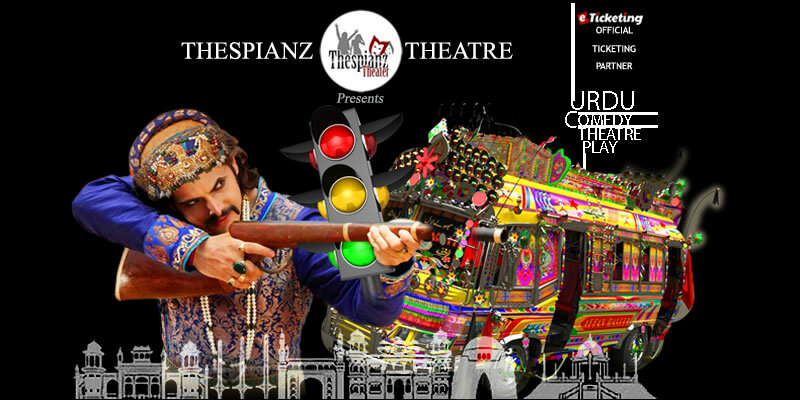 Thespianz Theater is one of the leading theatre and performing art organizations in Pakistan. It is working in Pakistan from 2005 and has presented many Theater Productions, Dance Productions, String Puppetry Productions and other arts & entertainment shows. It has also organized many Theater and Motivational Workshops. Thespianz Theater is a non-commercial, non-political and non-profit organization of Pakistan, devoted to the promotion of culture and arts. Its activities include Theater for Development (TFD), Workshops and training. Its aim is to bring people together from all caste, creed, religion, school of thoughts and spread message of love, peace and brotherhood. Terms & Conditions : Thespianz Theater reserves the right of the admission to the event and venue. Best Viewed at 1024 x 768 pixels and above. This Page loaded in 0.08896 seconds on Tue, Apr 23, 2019 (21:49).